On June 16, 1919, one of America’s greatest temples to the musical theatre began its life in St. Louis, Missouri. 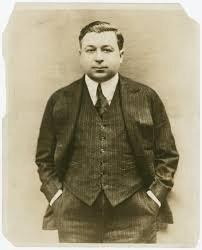 Soon dubbed the St. Louis Municipal Opera Association, or more commonly, The Muny, it opened that June night with a performance of Reginald De Koven’s operetta Robin Hood for an audience of four thousand. A previous production of Aida in the same location had spurred the idea. Situated in historic Forest Park, site of the 1904 World’s Fair, the city fathers, led by Mayor Kiel, had decided St. Louis needed a municipal theatre. After some outdoor performances on a hill in Forest Park, a semi-permanent seating area and stage had been erected. The theatre sat nine thousand, and 1,620 of the seats were designated as free seats, a tradition that continues today. But just a week after the opening of Robin Hood, a torrential rainstorm overflowed the banks of River Des Peres, which, strangely enough, ran under and behind the Muny stage, and it literally washed away the Muny’s sets, orchestra instruments, pretty much everything. Kiel and his buddies chased it all down, dried everything off, brought it back, and re-opened the next night. But it was a wet summer, and attendance was sparse. Someone jokingly suggested that Mayor Kiel go peddle tickets door to door. So he did. He approached nearly every businessman in St. Louis, asking them to buy blocks of tickets. Many of them did, and the first official season was salvaged. 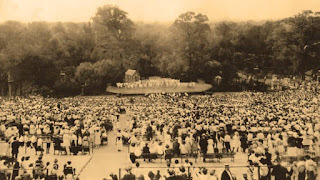 The Muny became one of the nation’s showplaces for musical theatre, at first mostly opera and operetta, then later primarily Broadway musicals, at its peak running an eleven week season, with a new show each week, and performances seven nights a week. During the 1960s and 1970s, many Broadway shows actually closed down for a week and brought the entire show, stars and all, to St. Louis to play a week at the Muny. So many shows brought their original casts to the Muny, including Ethel Merman and Call Me Madam, Zero Mostel and Fiddler on the Roof, Pearl Bailey, Cab Calloway, and Hello, Dolly!, Jerry Orbach and Promises, Promises, Joel Grey and Cabaret, Lauren Bacall and Applause, Yul Brynner and a revival of The King and I, and the entire original cast of Stephen Sondheim’s Follies. 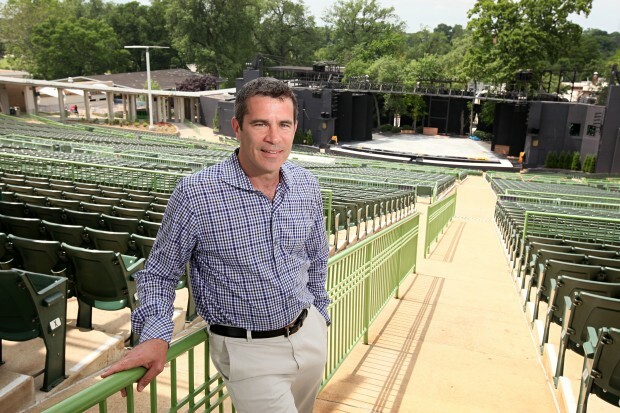 The Muny also sometimes serves as a pre-Broadway tryout for shows like Sugar Babies. The Muny still stands today, now the St. Louis Municipal Theatre Association – still The Muny – as a place for the community to come together on a summer’s night, a place where families can bring their children without fear of content, and a place where future artists can not only learn about but actually see onstage the great musicals of the past, everything from The Desert Song and Show Boat to Cats and Miss Saigon. Because of its enormity, it has never been about dramatic subtlety nor cutting edge work. It is about spectacle and special effects, about gigantic choruses and full sized Cotton Blossoms when Show Boat plays there. It is by its very nature mainstream and “safe,” but it is the greatest repository of Broadway’s musical past ever created and an invaluable training ground for tomorrow’s Broadway performers, directors, writers, and producers. I wrote this essay more than ten years ago, before Mike Isaacson took the Muny reins and launched a great new era of top-quality theatre, with some of the top talents in the American musical theatre. As a former Muny usher (eight seasons! 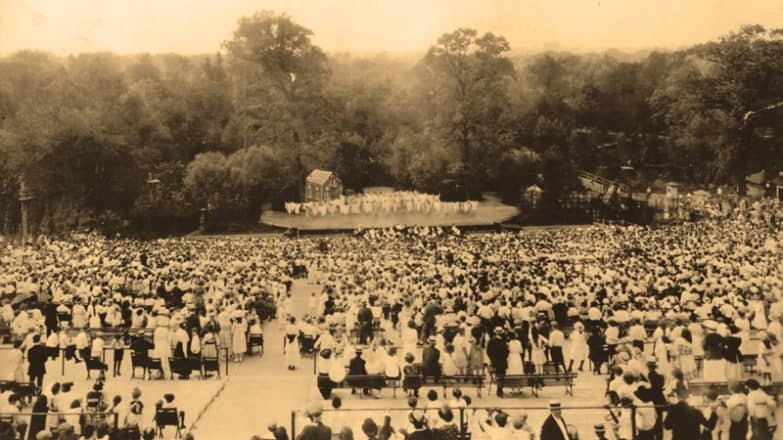 ), I've always loved the Muny, but I think it's in better hands now than it has been in decades, and it will live long after this impressive 100th birthday.